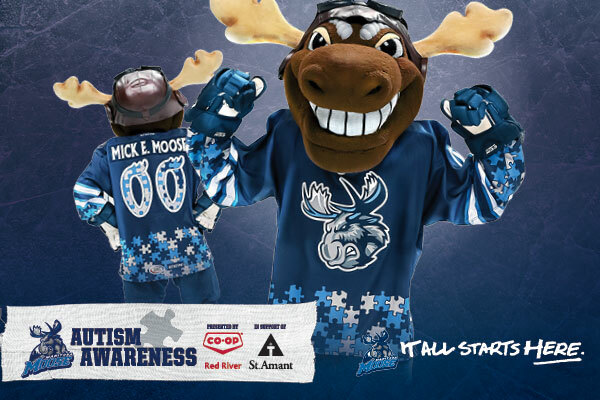 Following a successful in-game auction of six game-worn/issued Manitoba Moose Autism Awareness Jerseys, the remainder of the jerseys are now available via an online auction hosted on True North’s eBay page: TrueNorth_EShop. 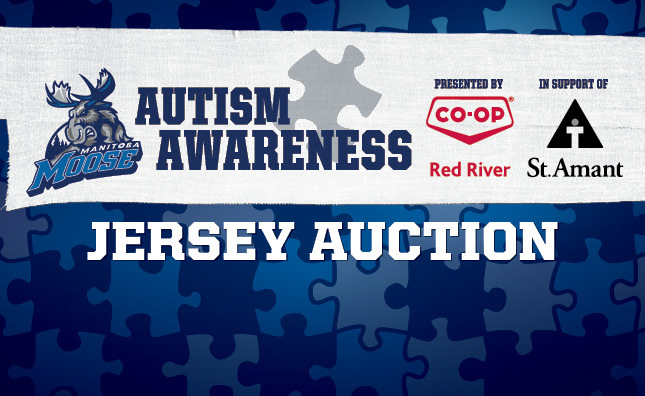 The jersey auction opened at 7:00 PM CT Sunday, March 26. The auction is set to run for one week – until Sunday, April 2 – and will close in five minute intervals beginning at 7 PM CT. The proceeds from the auction are going to St.Amant’s Autism Programs. With last year’s support from the auction over $16,000 was raised and we were able to purchase the technology, toys and supplies needed to outfit 2 new classrooms for pre-school children.